​Many things must happen very quickly when you find yourself with a water removal crisis. 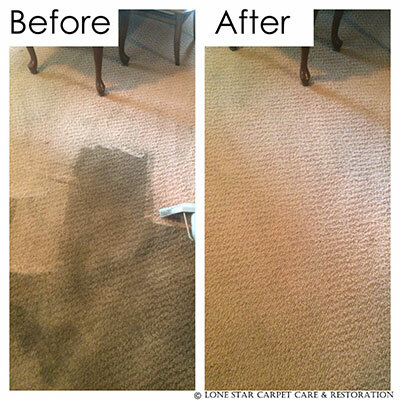 Luckily, when you depend on Lone Star Carpet Care and Restoration, we’ll handle everything. When you call Lone Star Carpet Care and Restoration, the first thing we’ll do is try to assess the amount of water that needs to be removed over the phone. We will also determine if the water is still flowing. If it is, we will help you locate the source of the water and shut it off if at all possible. After all, less water usually means less damage! Sometimes, such as in cases of roof leaks during a heavy rain, it may not be an option for you to turn off the water, but in other cases, such as a burst pipe, you might be able to turn the water off, saving your home from further damage. Plus, we like to know what we’re up against before we get there! We may also advise you to remove valuables from the flooded area or to turn off the electricity if we feel you are in any kind of danger of electric shock. Our next step is to send a water removal specialist out ASAP! If you weren’t able to close off the water source on your own, the specialist will make that priority #1. If you were successful in getting the water stopped, our specialist will quickly move on to assessing the existing damage. He or she will then give you a cost and labor estimate so you know exactly what to expect. This estimate will include our expert opinion of how likely you are to save floors underneath carpeting, as well as baseboards, molding, and furniture that have been exposed to the damage. When all these things are done, Lone Star Carpet Care and Restoration will begin our water extraction process. This may first consist of moving furniture and other objects outside the affected area so that we may prevent further damage and so that we will be able to reach all the damage easily. We promise to work as quickly as possible to minimize the damage the flooding water is making. 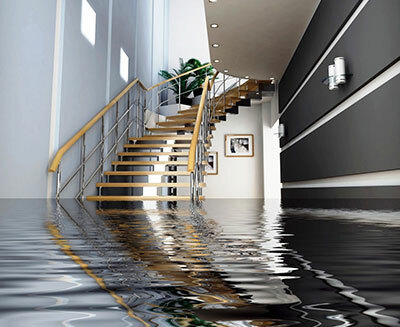 We use high tech, industrial strength equipment to remove the water from your home safely and quickly. It may take more than one day to make sure all the water is gone. If so, Lone Star Carpet Care and Restoration will be there for as long as it takes, right by your side. After all the water is gone, we will determine if further action should be taken. You’ll probably need carpet cleaning services…we can help with that, too! And, unfortunately, it is sometimes necessary to replace the carpet or flooring altogether, depending on whether or not the flooding water was contaminated. Another part of our all-star service is advising clients on how they can prevent another flooding incident. This may be anything from recommending a good plumber to check your pipes to helping you find a contractor to inspect and repair damaged roofs or walls.